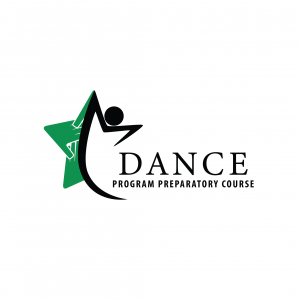 What is the Dance Program Preparatory Course? introduce youth to the soulful art form of dance in preparation for the launch of the full dance program in the fall of 2019. The Dance PPC will engage youth ages 6 to 19 and will provide a platform for youth to learn and perform the foundations and basics of mainstream, soulful styles of dance, including African, hip-hop, lyrical and praise, tap, and jazz dance. What are the goals of the Dance PPC? What will the Dance PPC do for youth? When and where will the UNITY Youth Dance PPC classes be offered? The classes will be held weekly beginning the end of February 2019 and ending in May 2019. The UNITY Dance PPC will be held in the UNITY Program & Training Center (PTC). Classes will be held in the Dance/Multi-Purpose Training Lab, a state-of-the-art space featuring two full walls of mirrors and ballet bars, an audio system, a projector, a projection screen, and a recording system that can record live dance rehearsals. How can I get more information about the Dance PPC and or get my youth involved? More information about this course will be available in the weeks to come. If you are interested in getting your youth involved in the Dance Program Preparatory Course, please fill out an information card. You can also email info@upaf.com or call the UNITY PTC office at 260-755-2662. R.S.V.P. for our Dance Program General Registration & Orientation on Tuesday, March 5 from 6:30-8:00 PM by calling 260-755-2662. Classes begin on March 12, 2019! Call the UNITY office at (260) 755-2662, or e-mail us at info@upaf.com for more information.